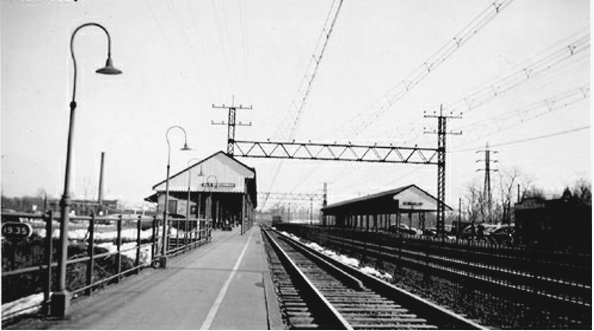 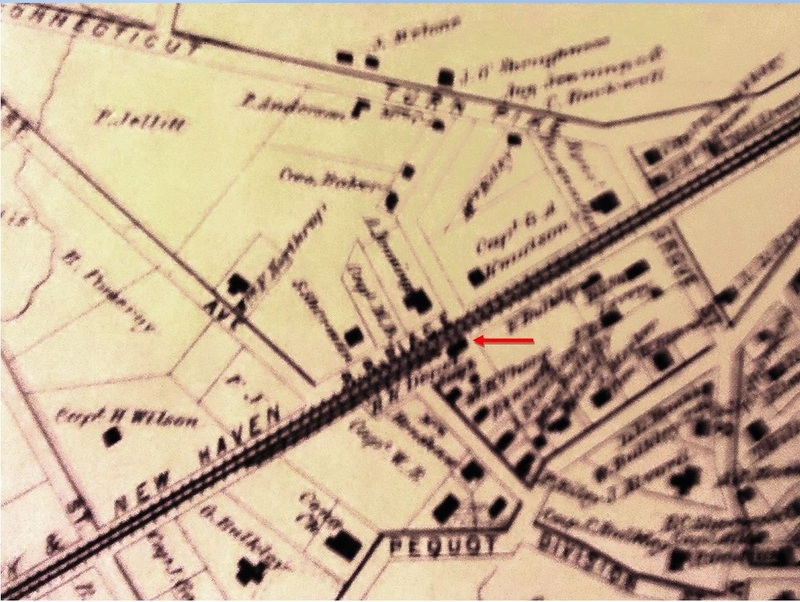 Line built in 1852 by the NH&NL. 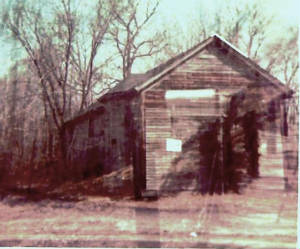 No photo. 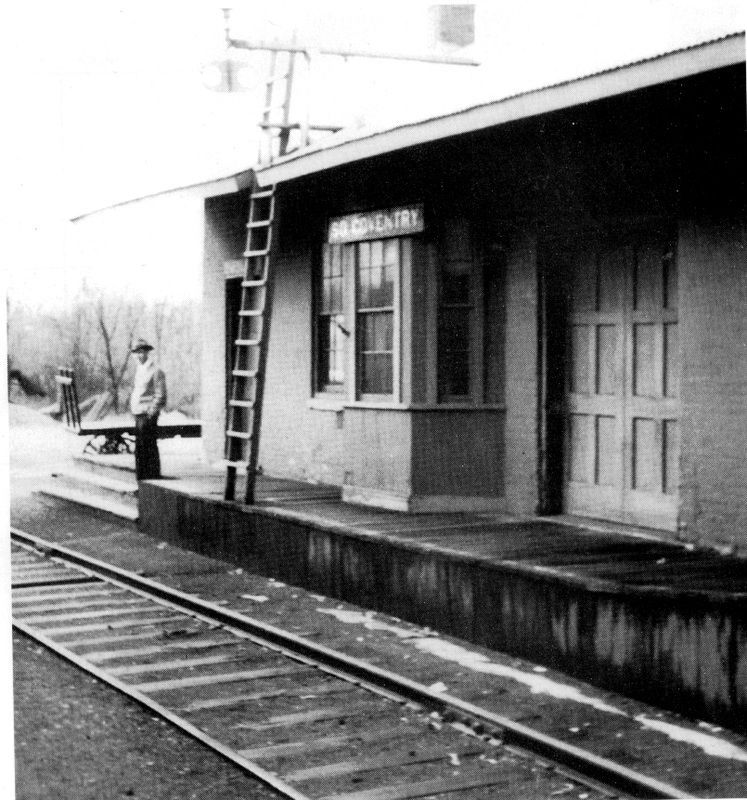 We need to ascertain when the stop was established. 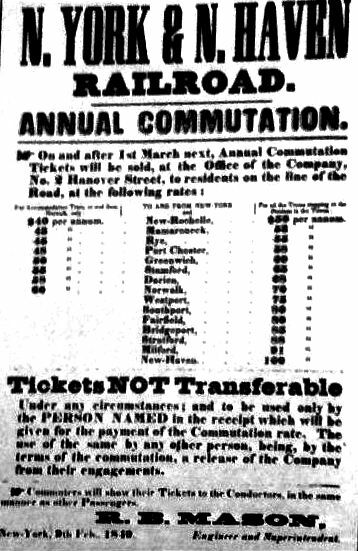 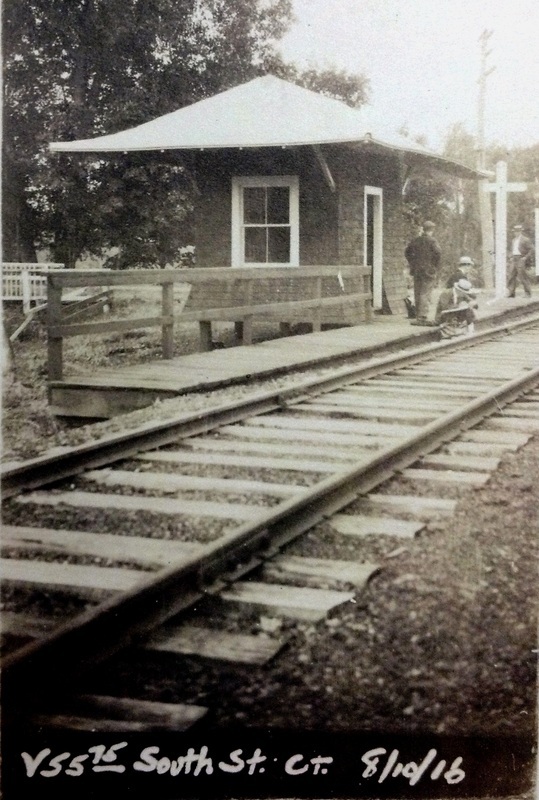 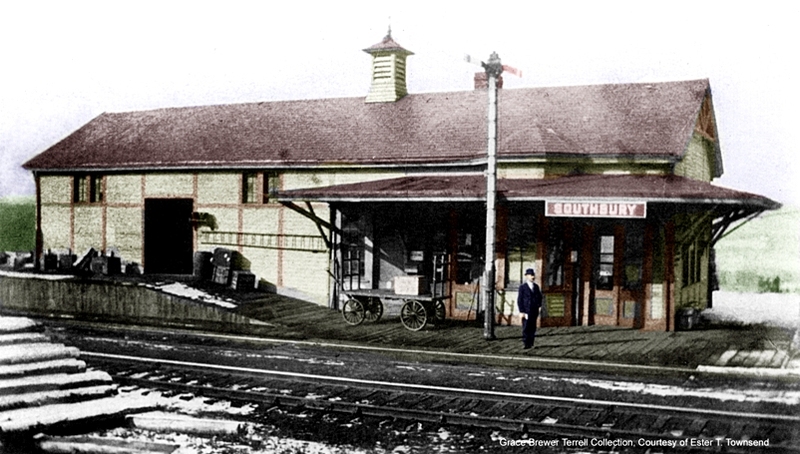 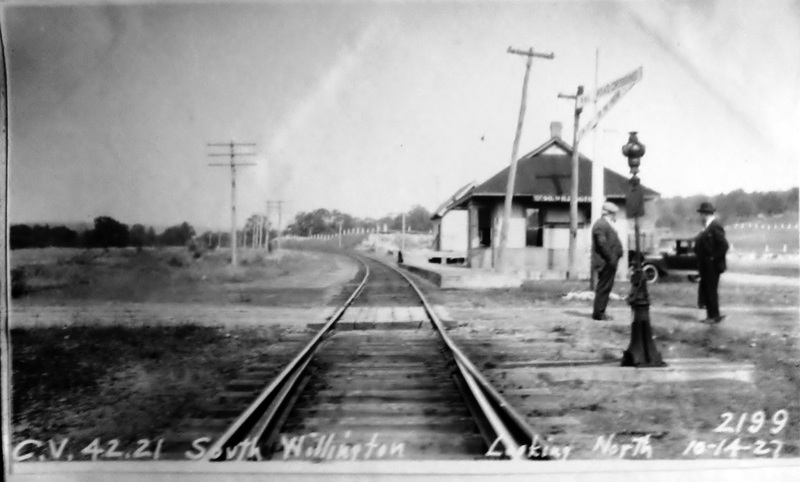 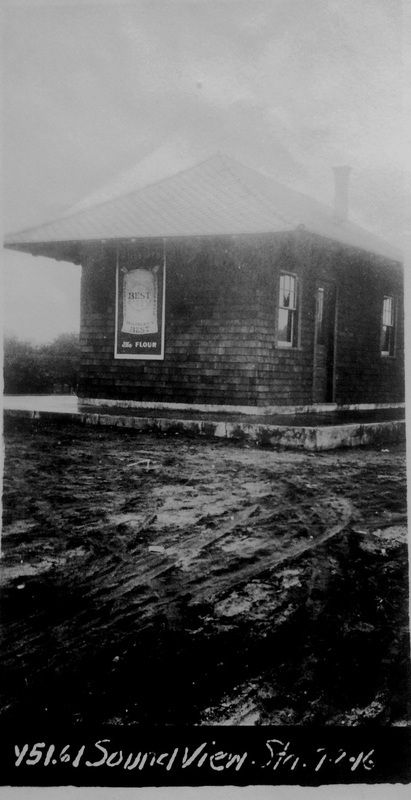 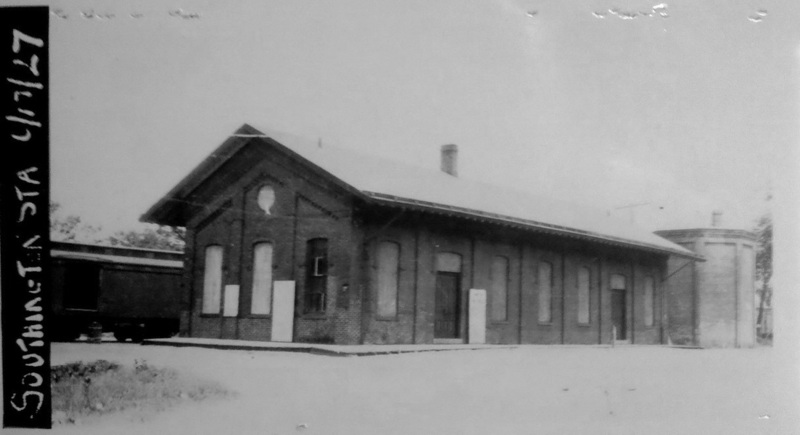 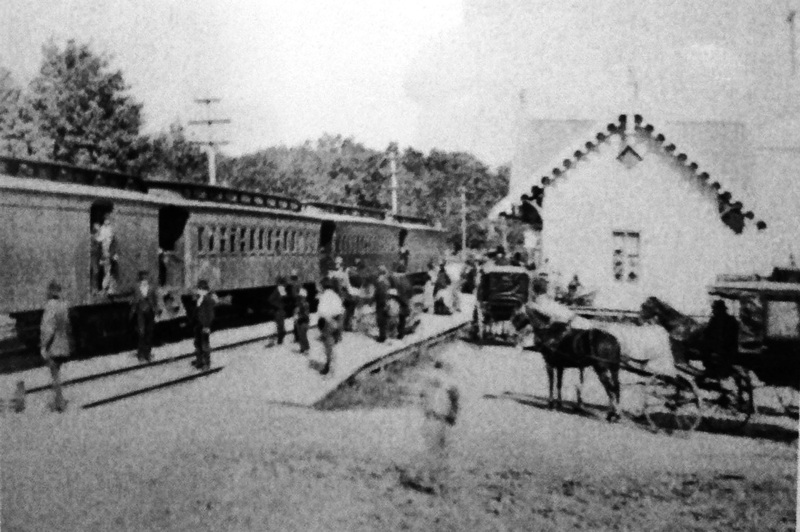 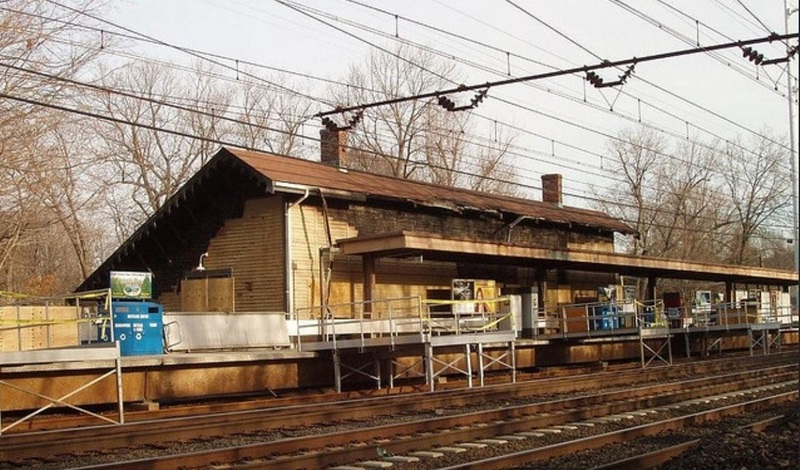 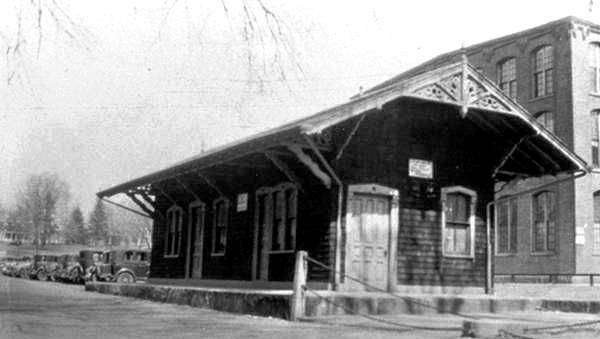 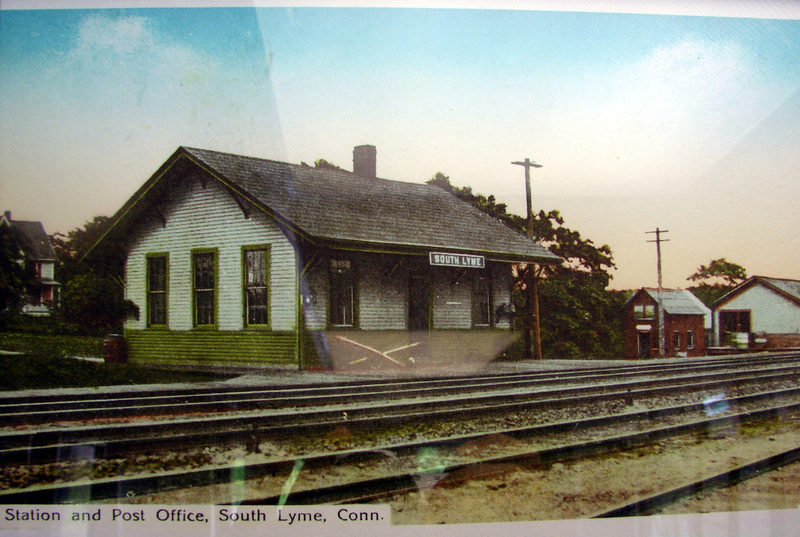 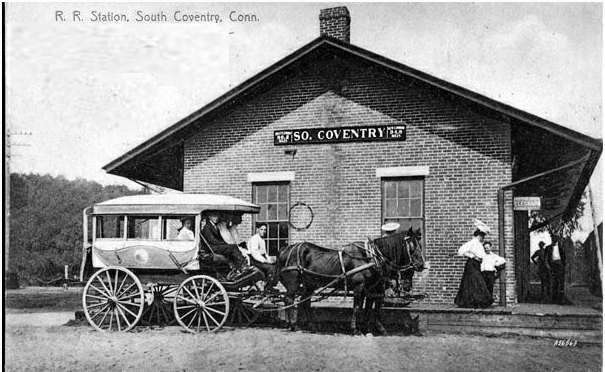 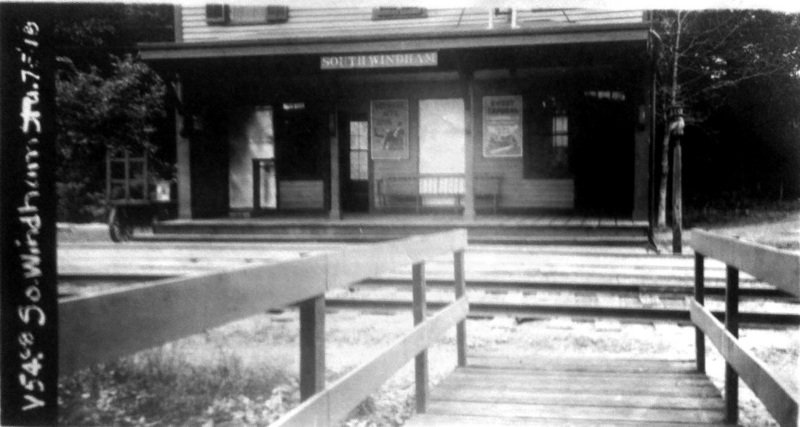 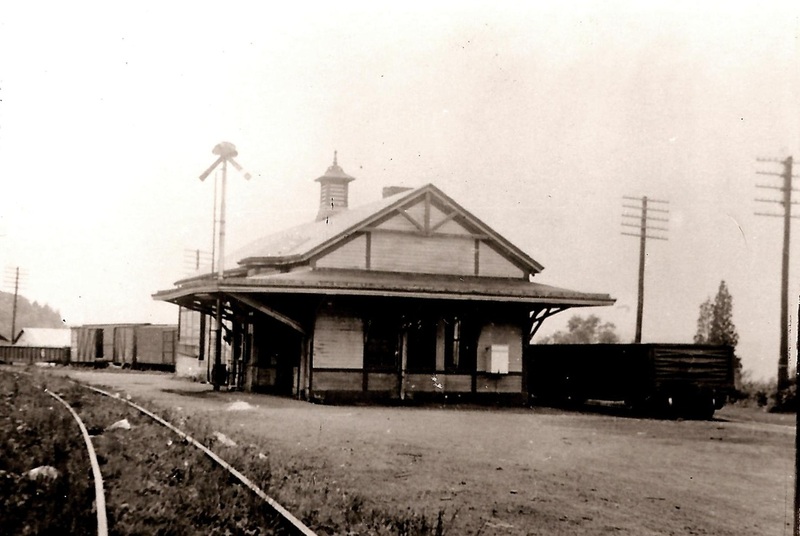 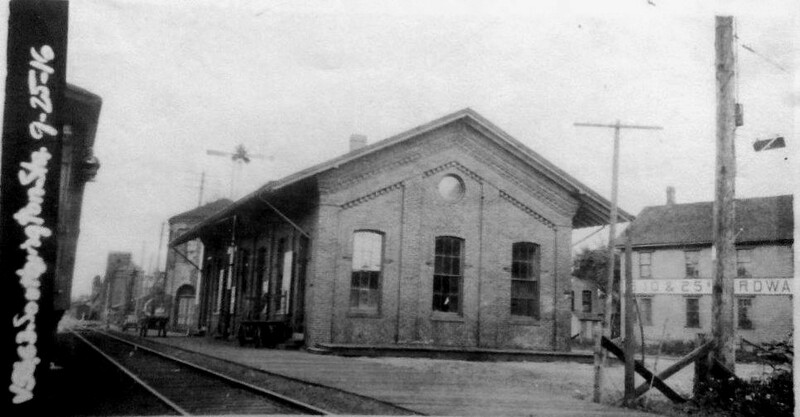 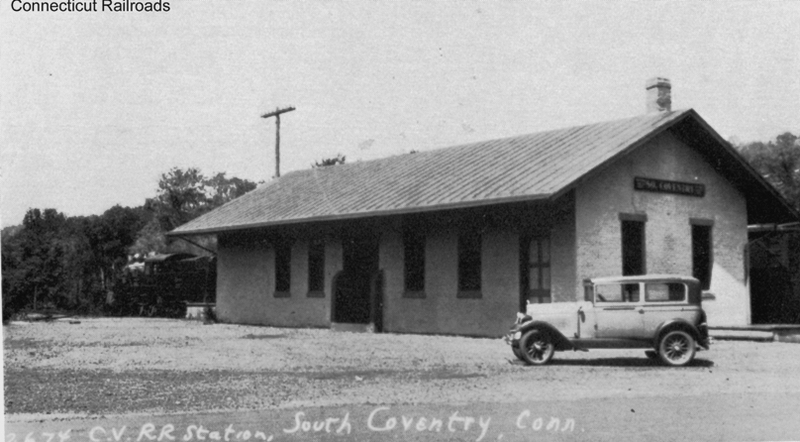 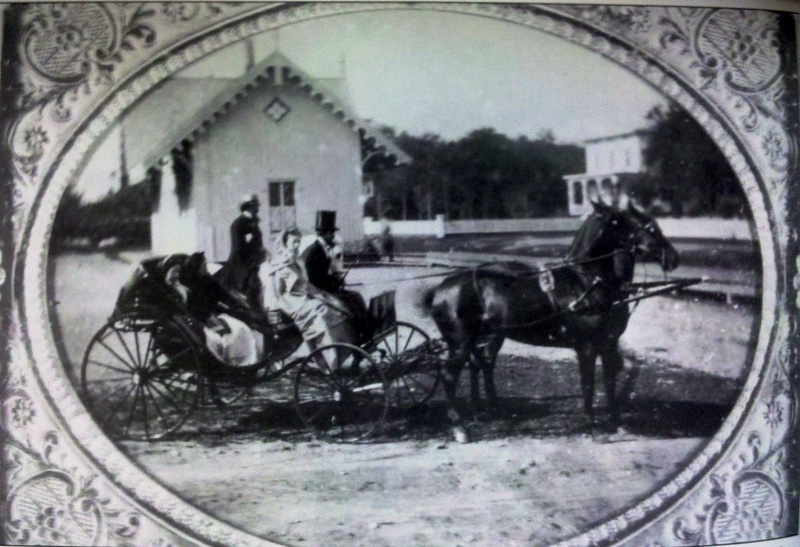 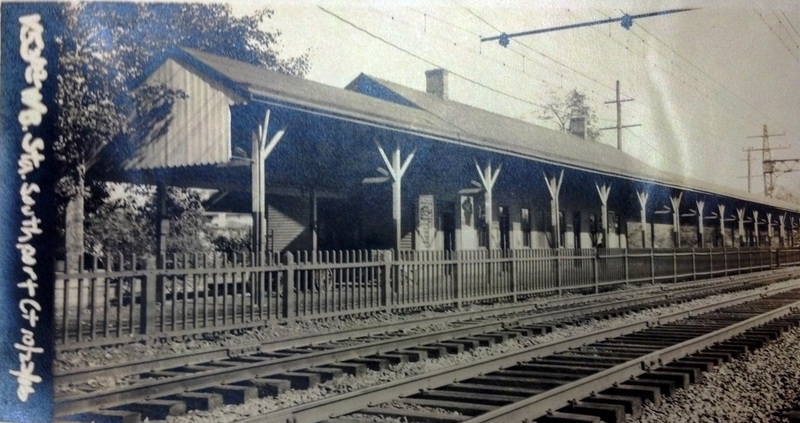 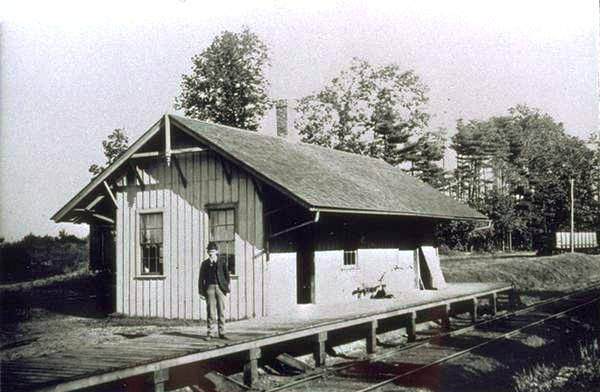 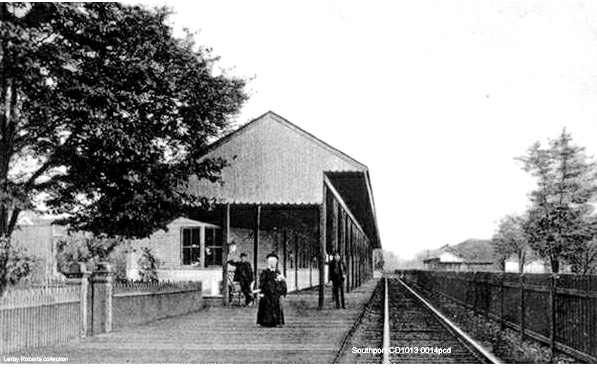 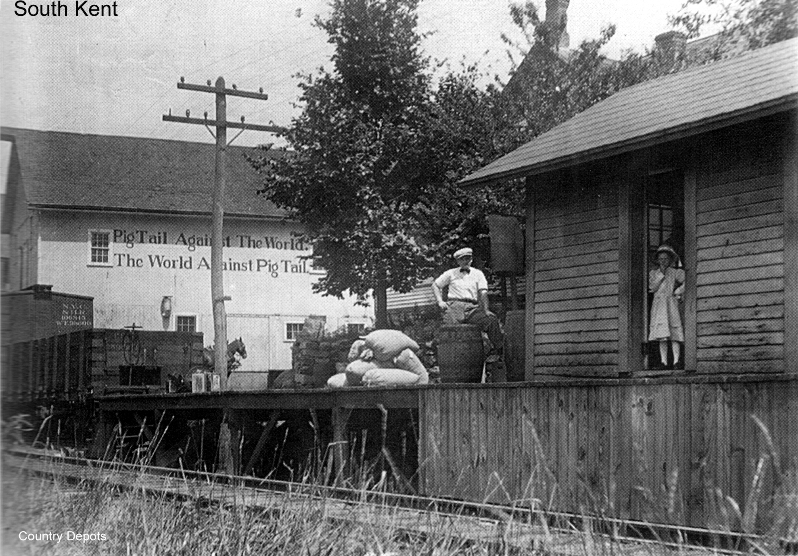 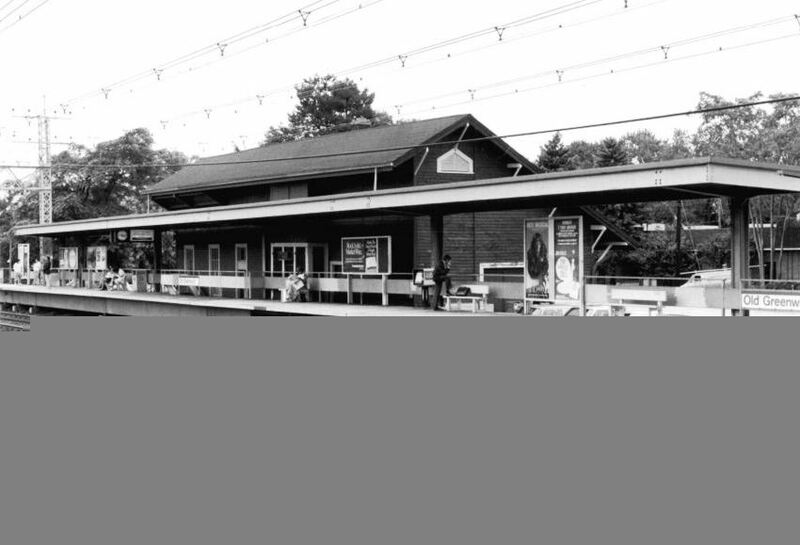 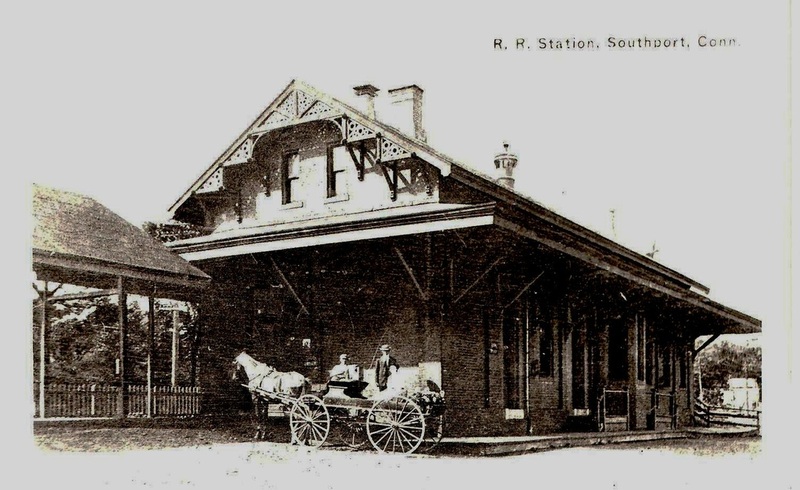 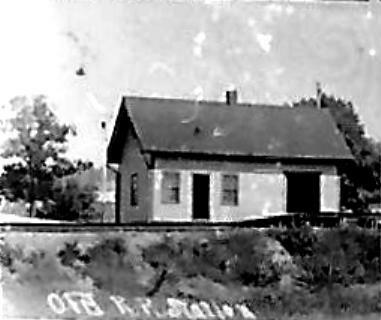 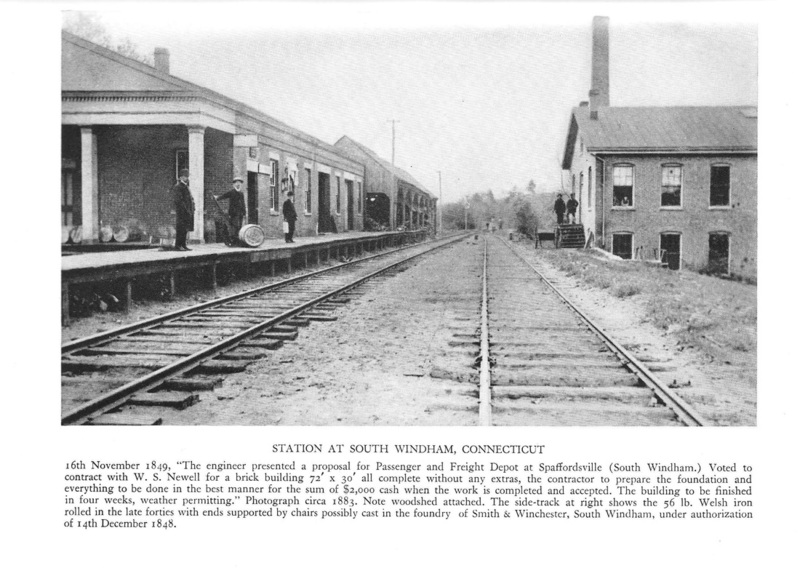 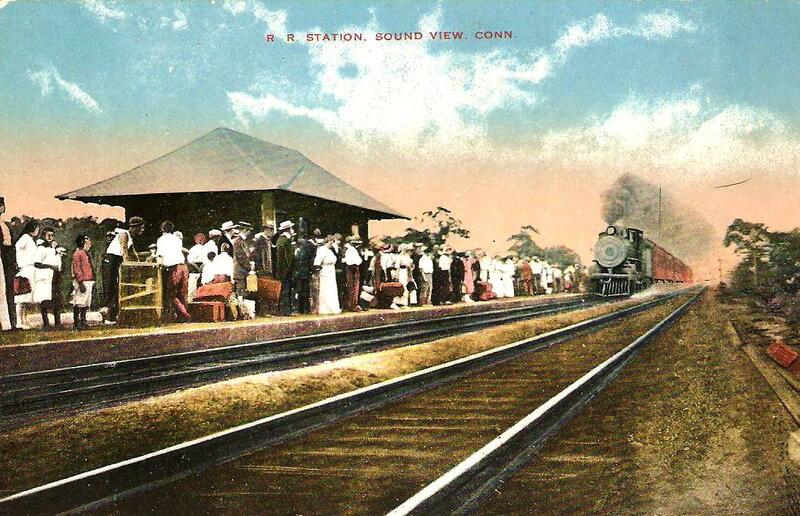 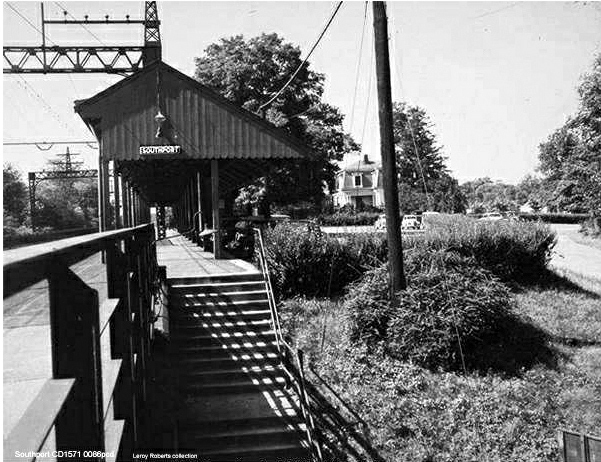 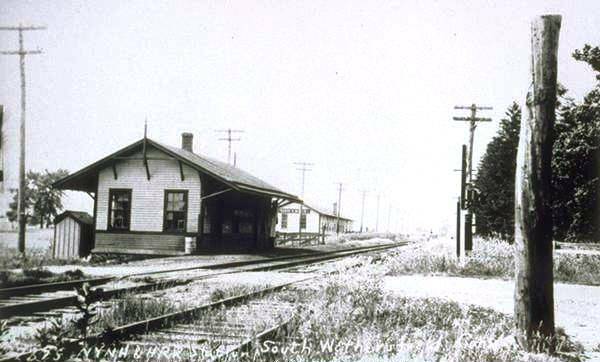 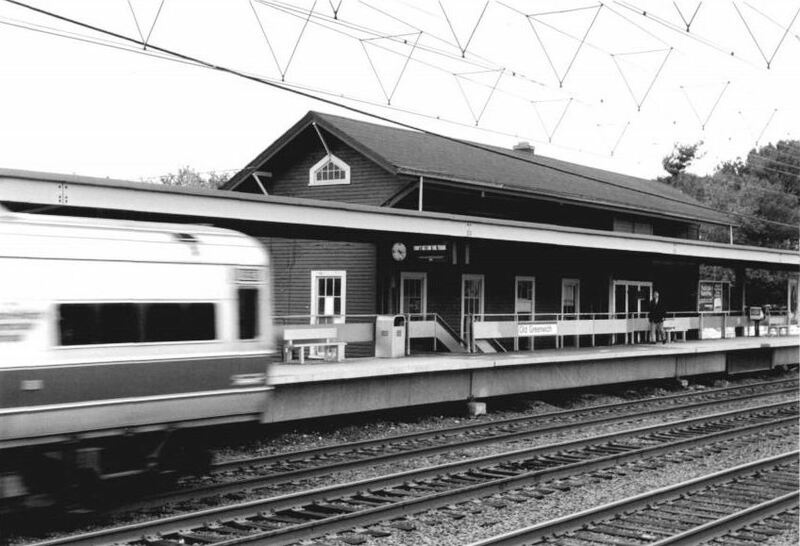 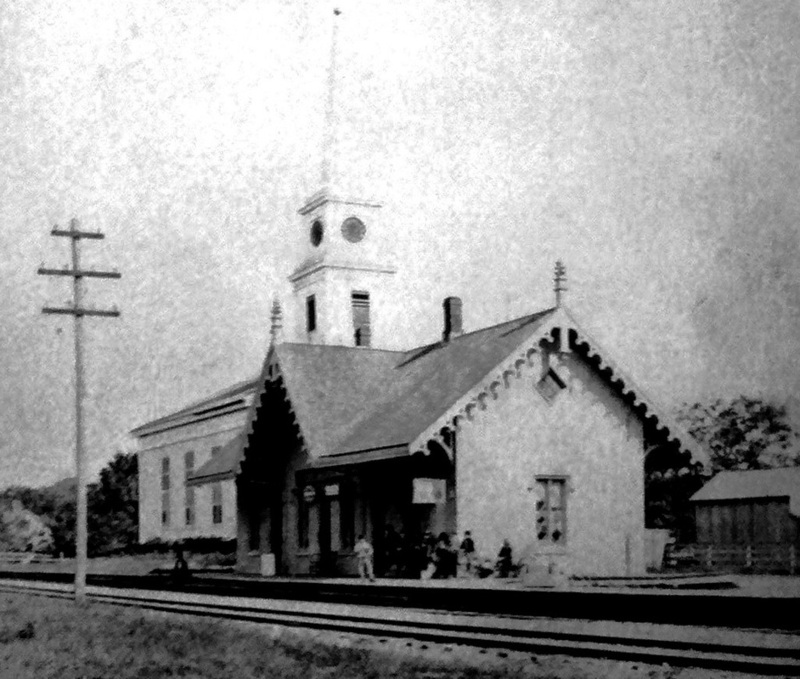 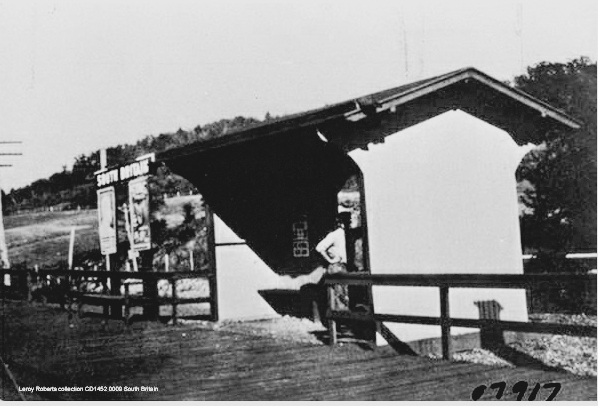 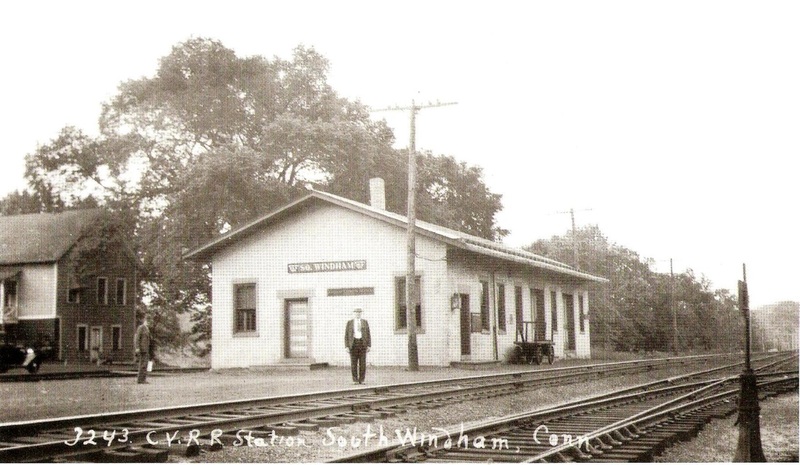 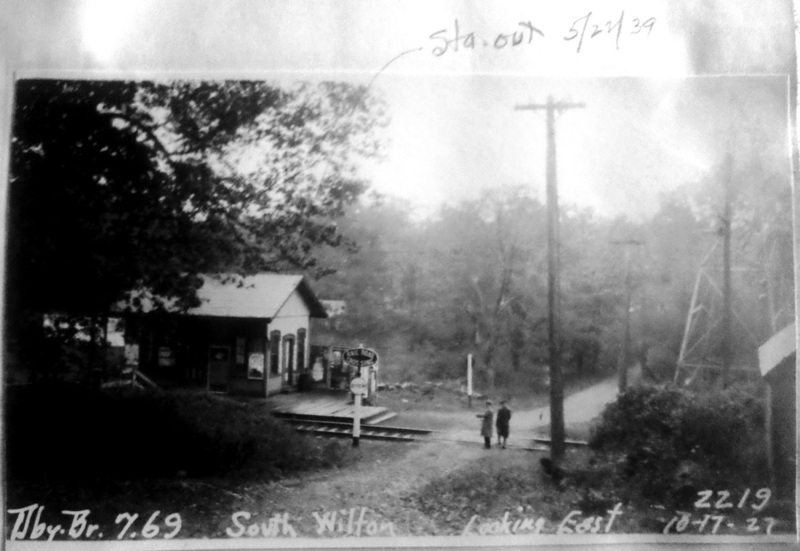 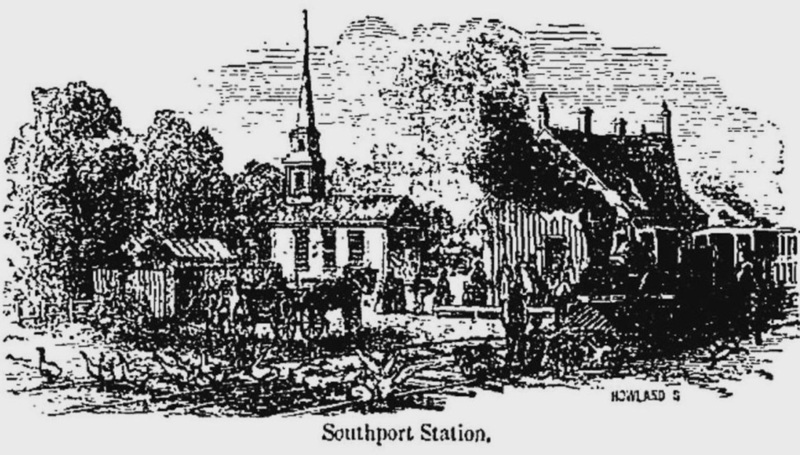 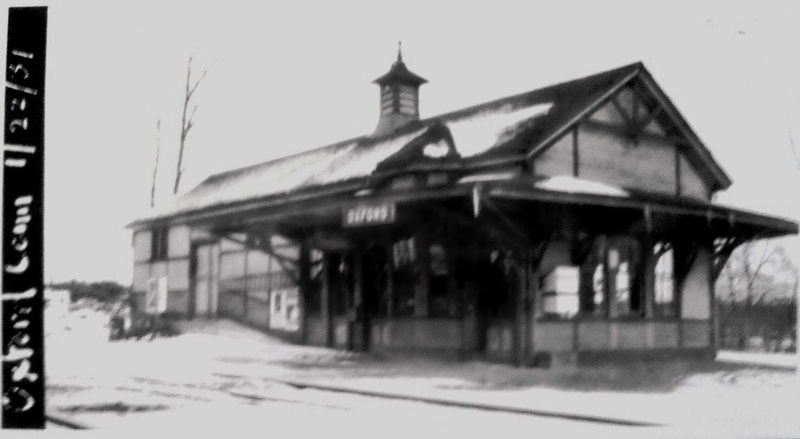 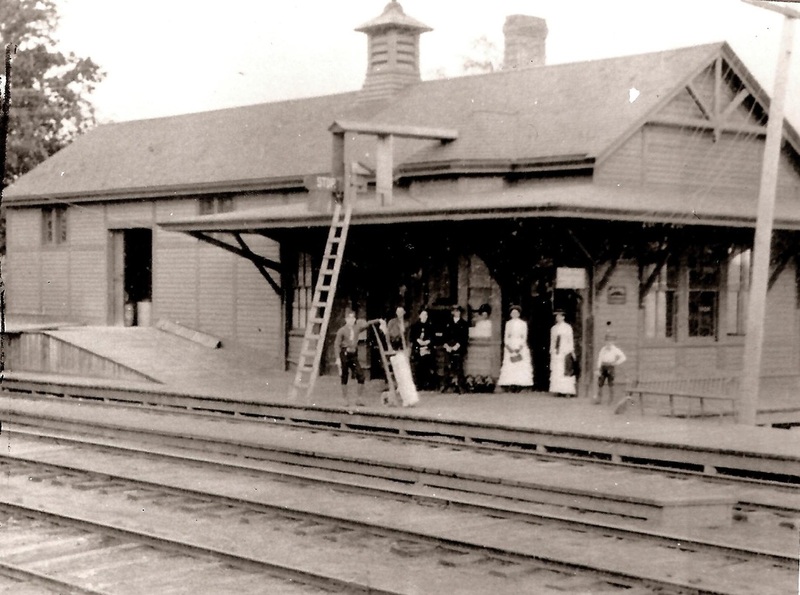 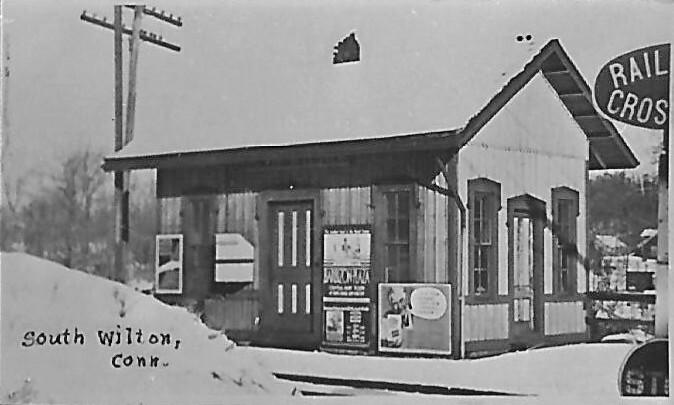 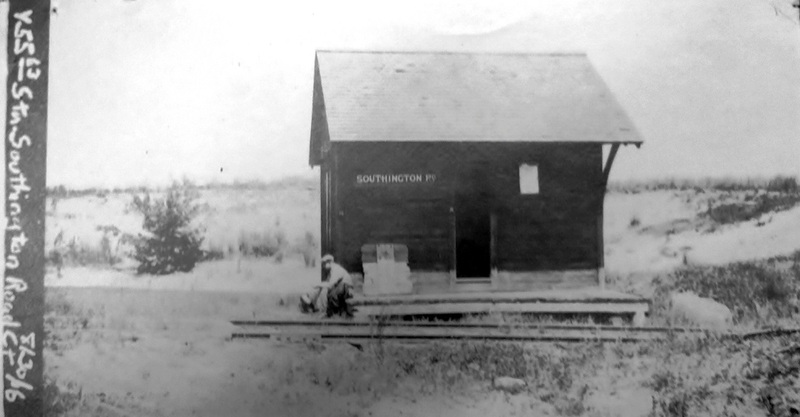 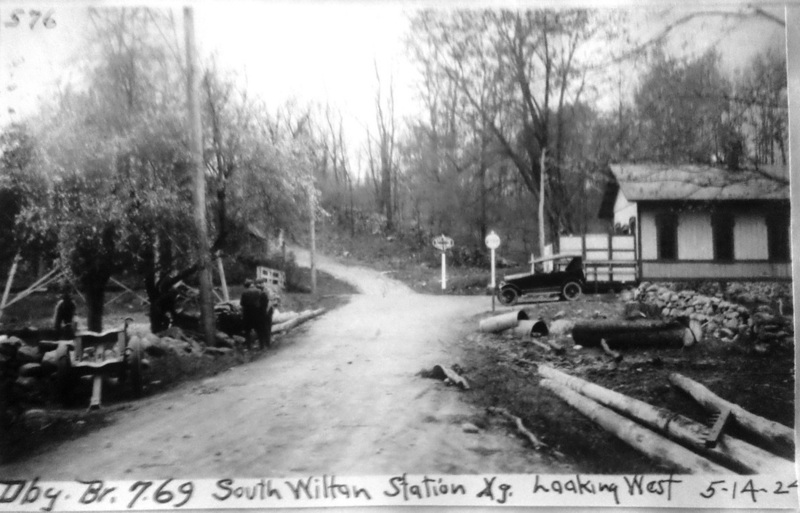 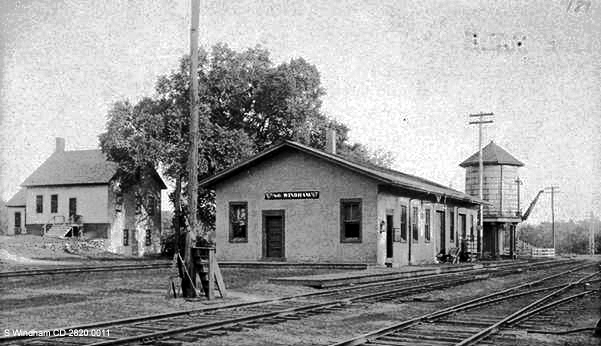 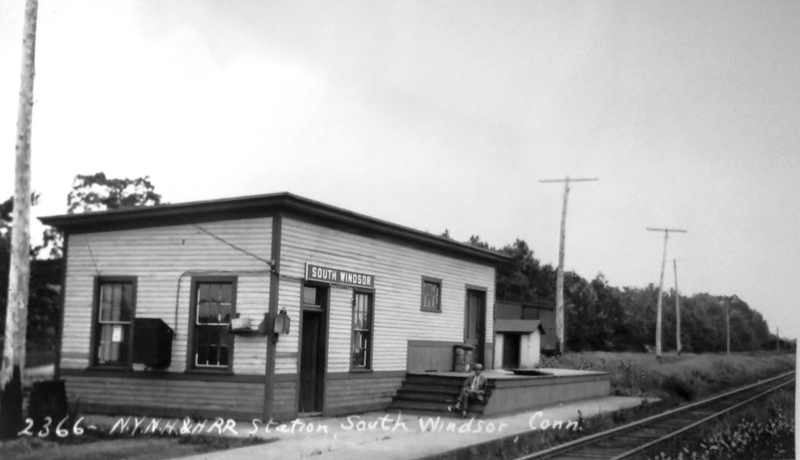 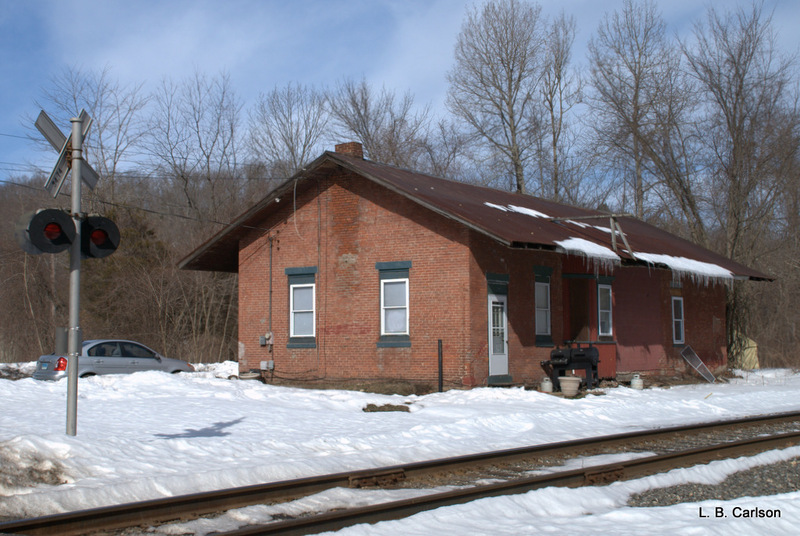 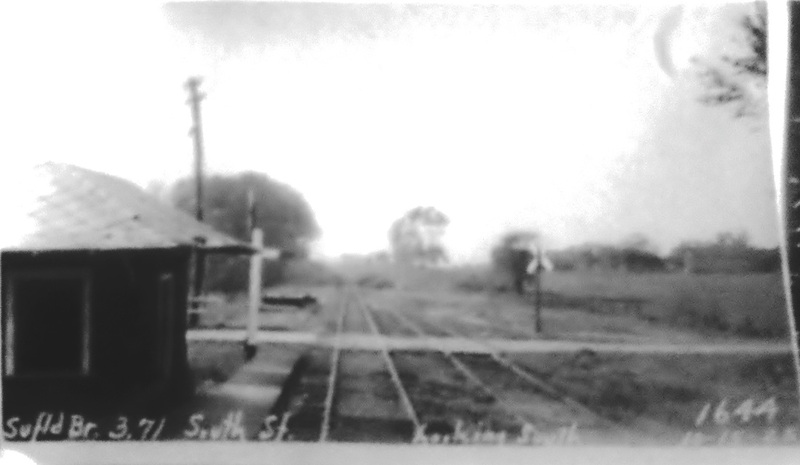 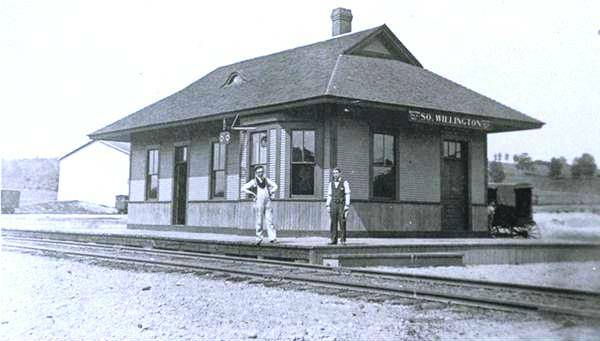 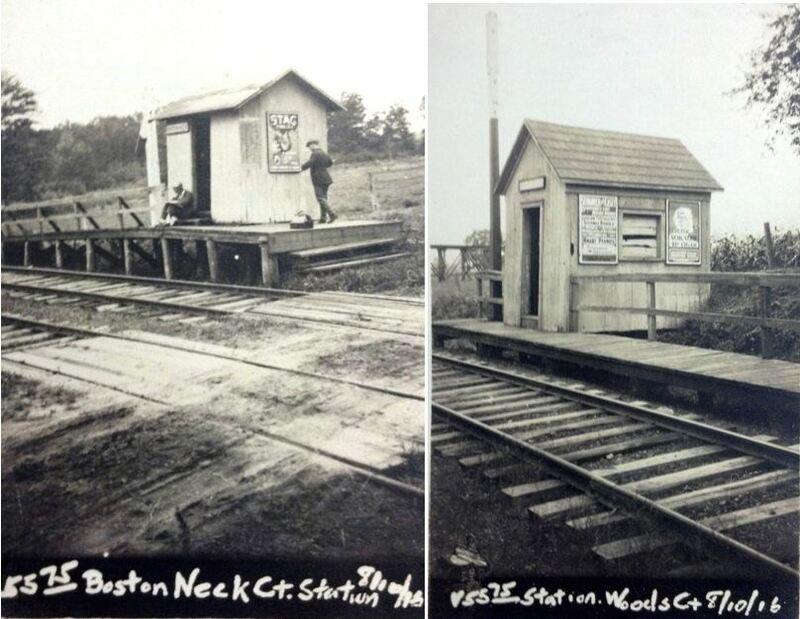 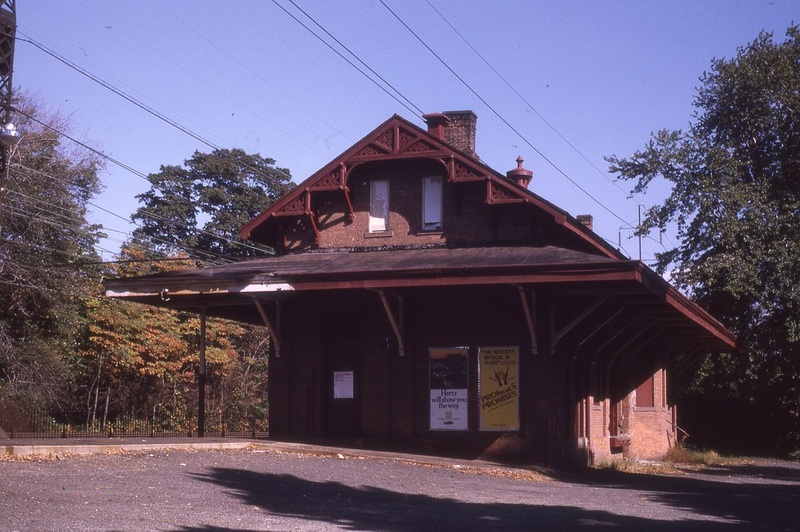 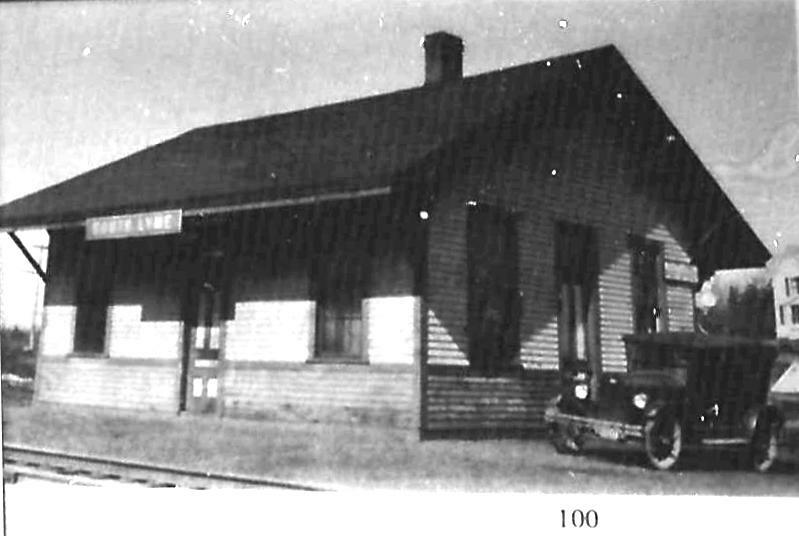 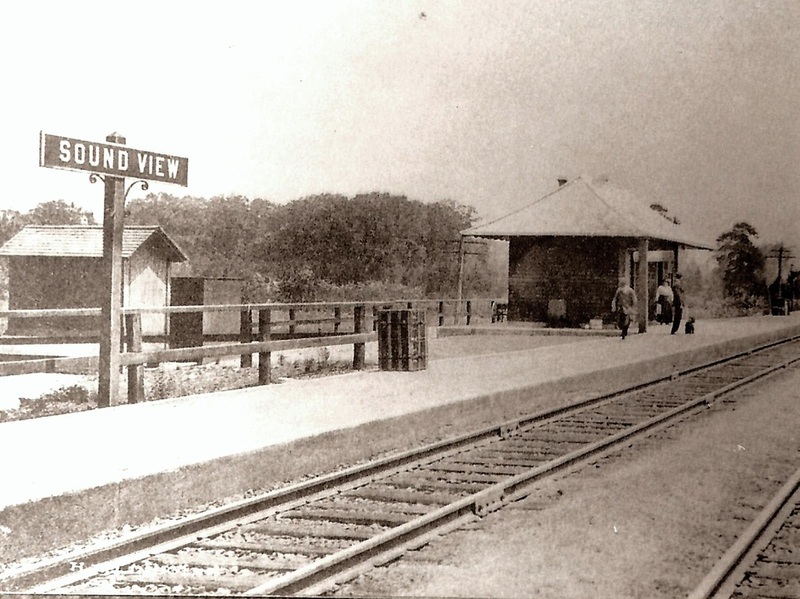 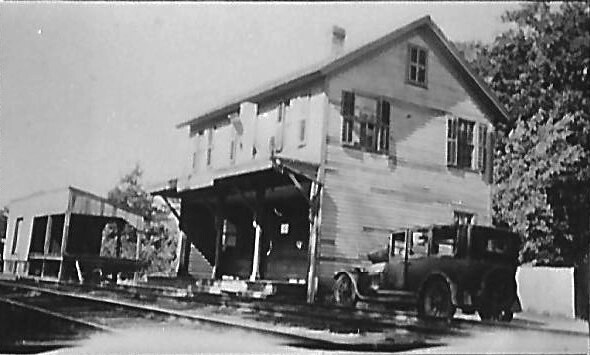 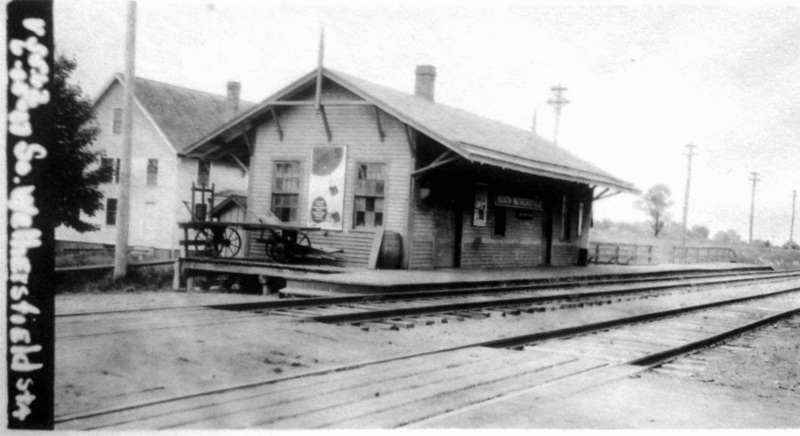 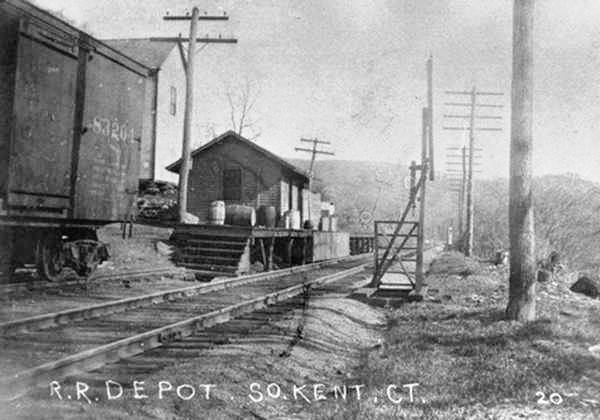 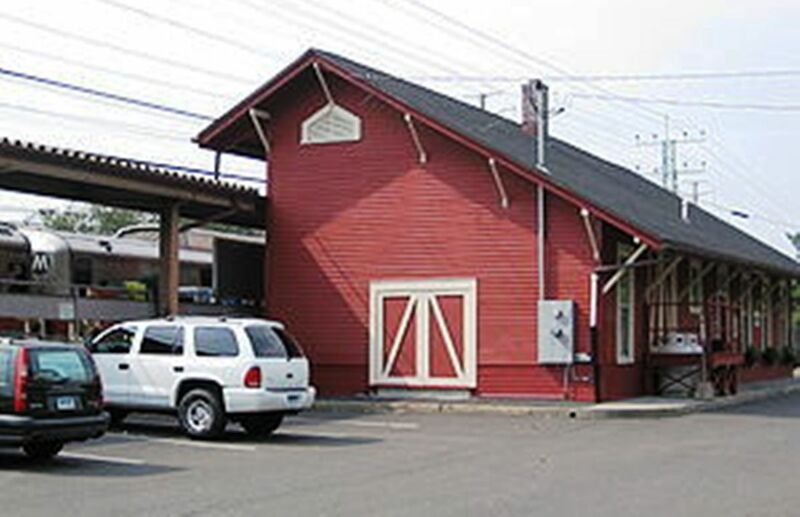 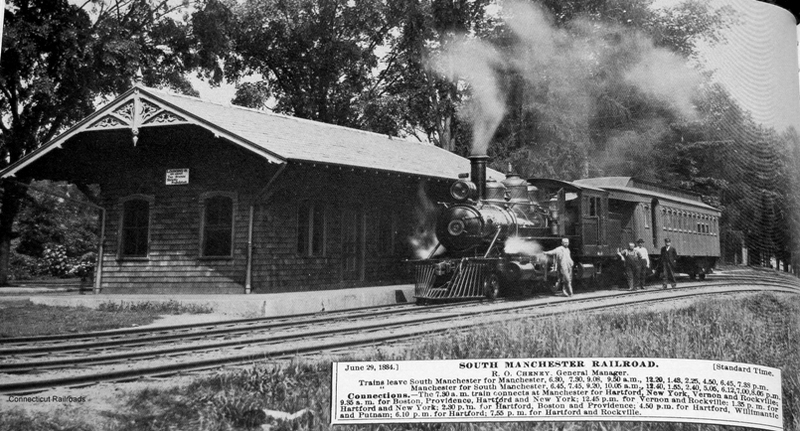 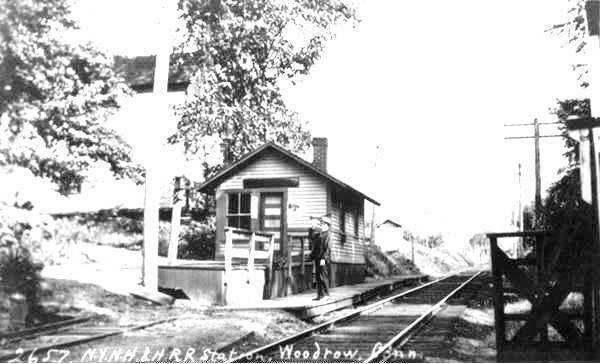 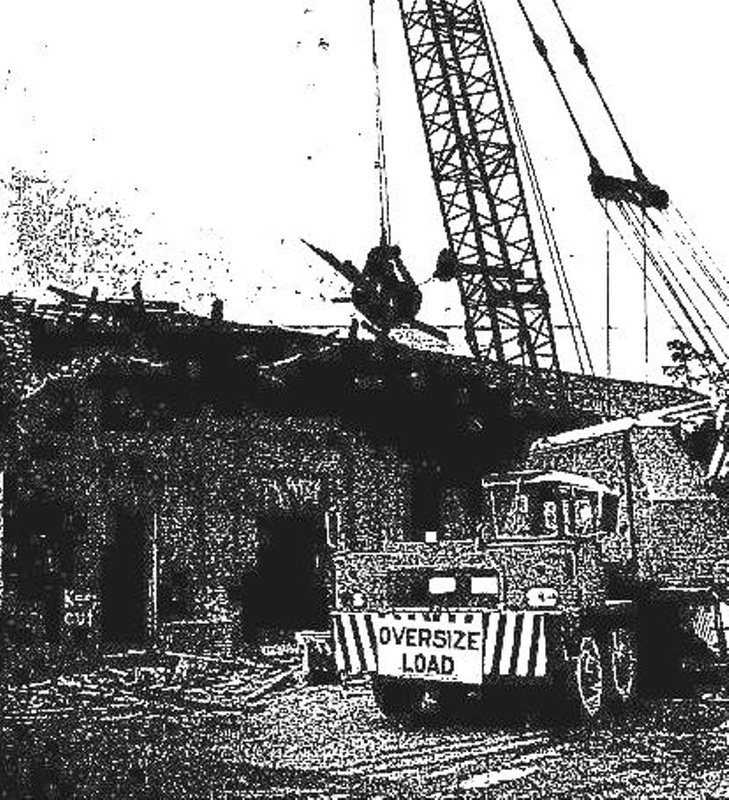 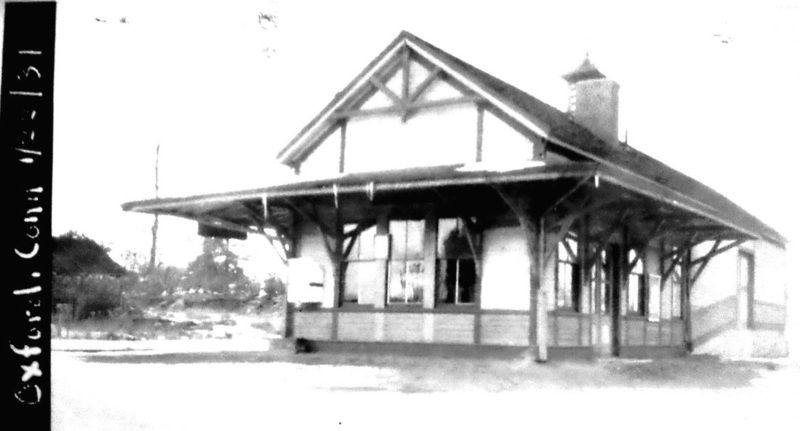 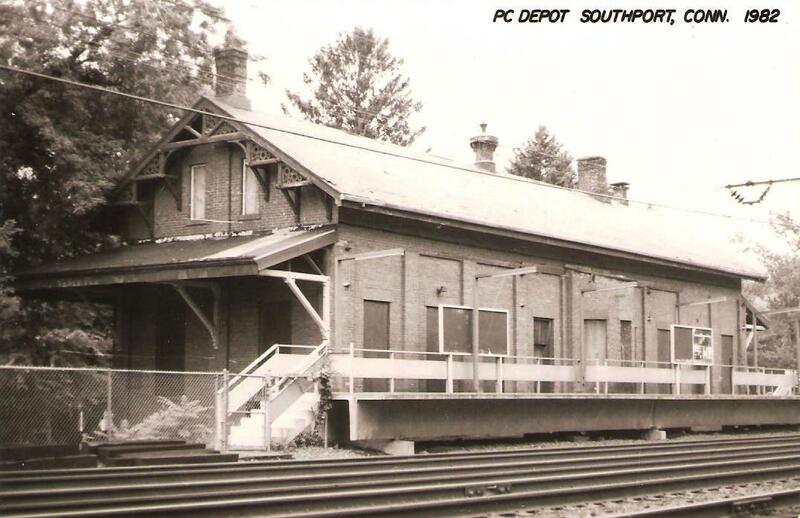 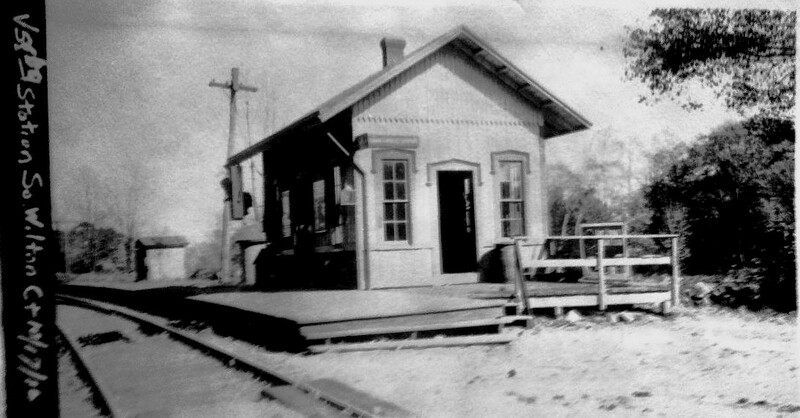 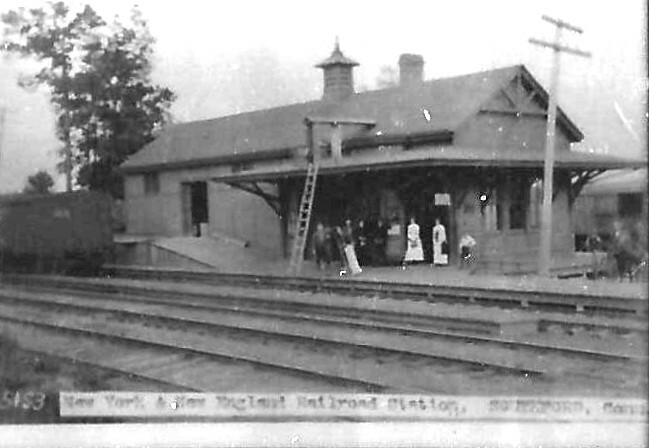 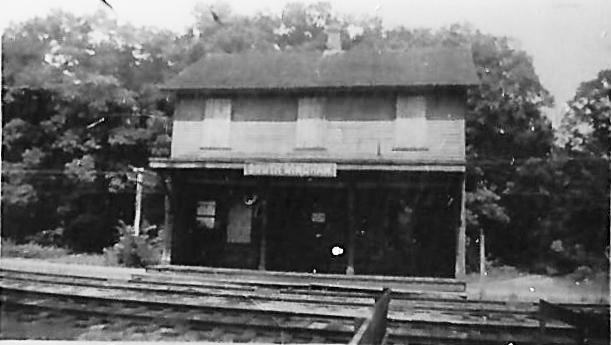 Presumably built in late 1890 or early 1891 after the first station burned. 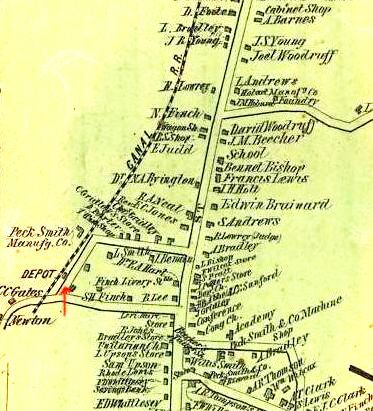 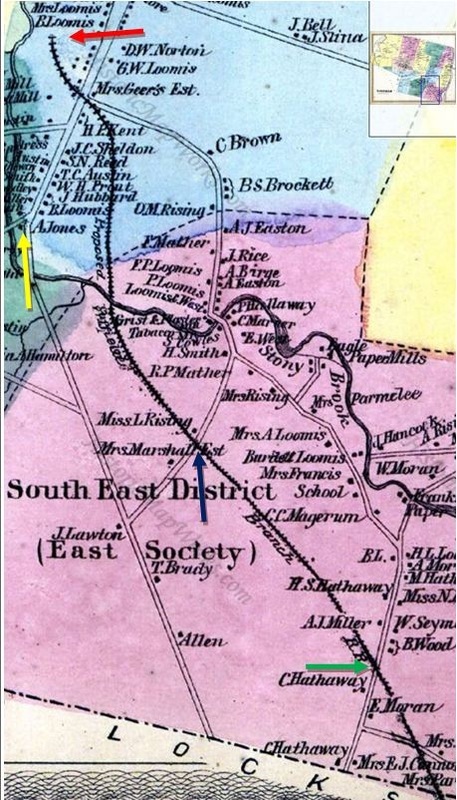 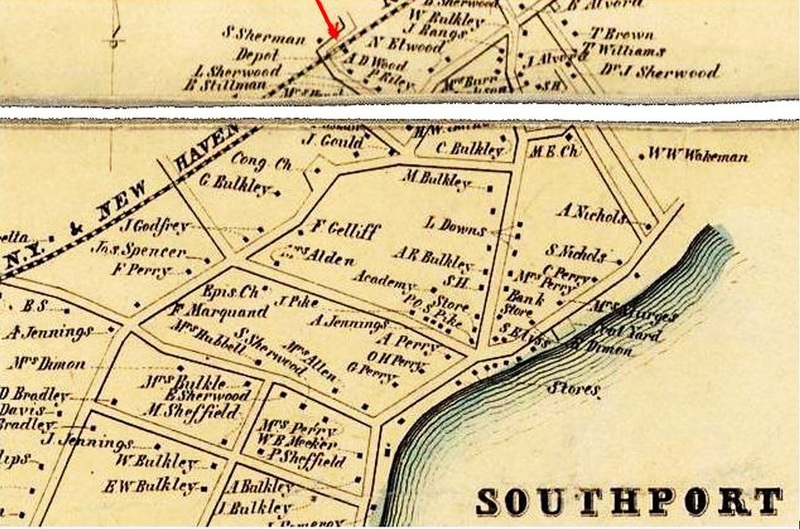 The location is seen to be the same on the 1855HC map at left and on the 1868 Beers map at middle. 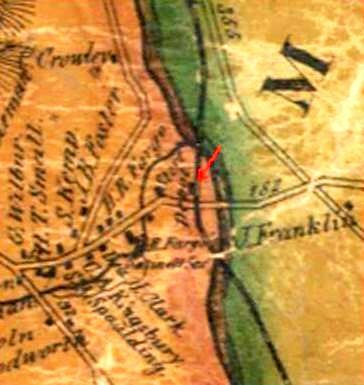 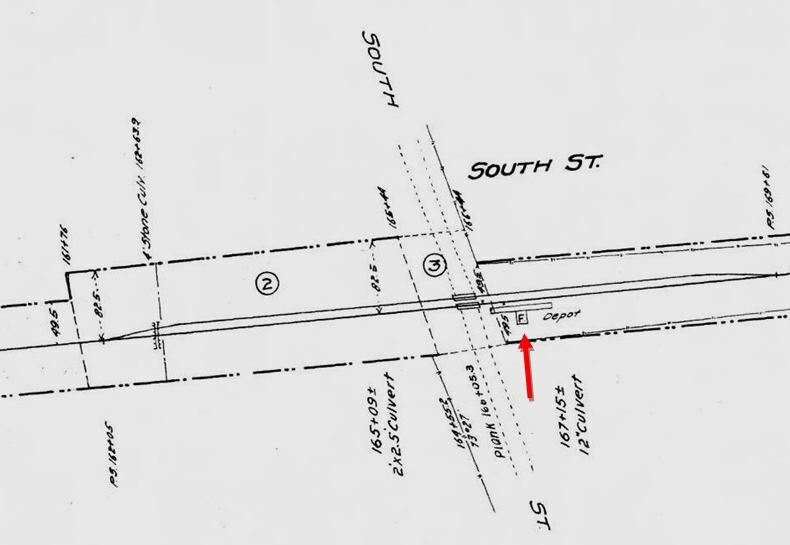 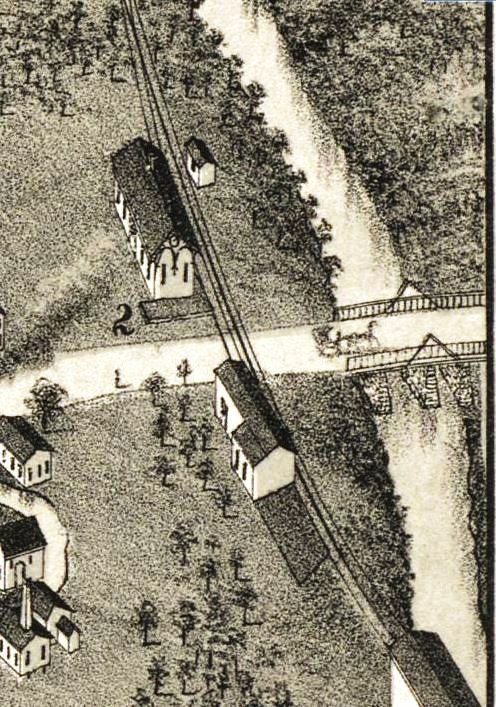 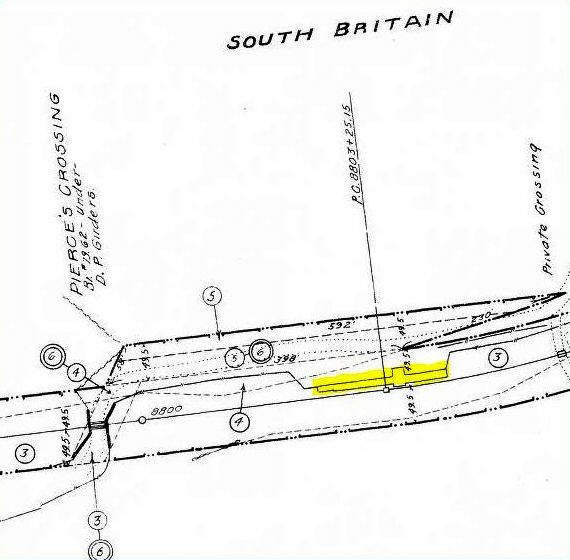 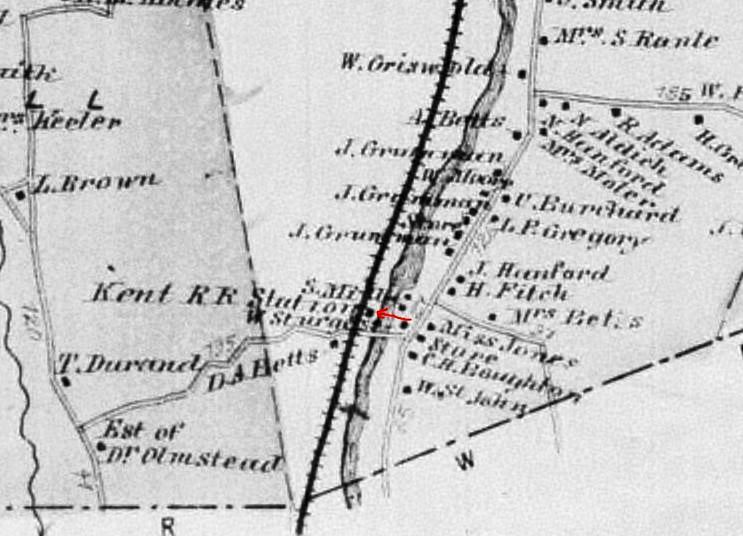 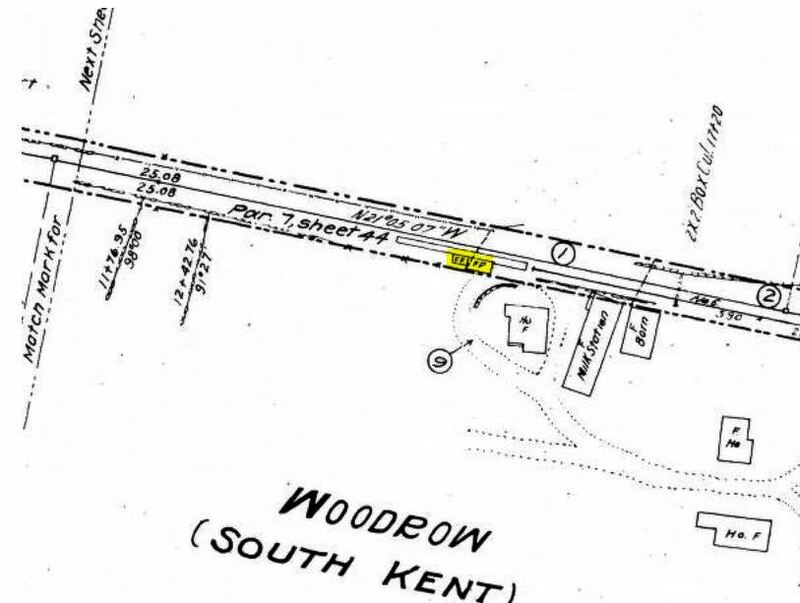 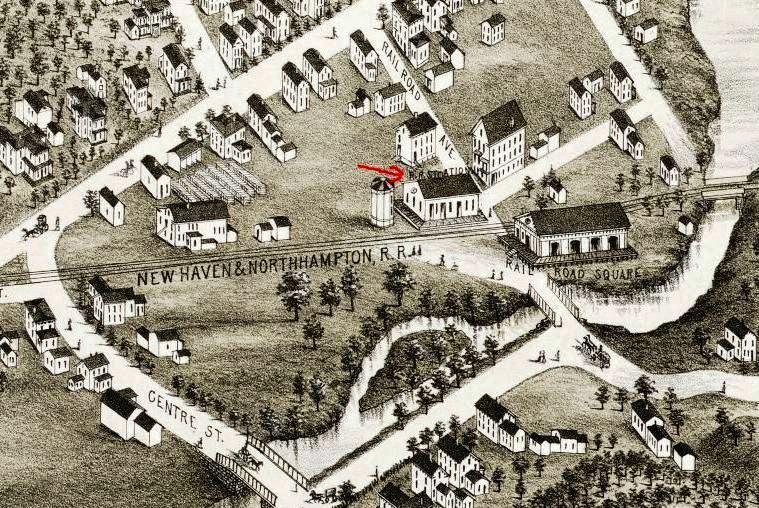 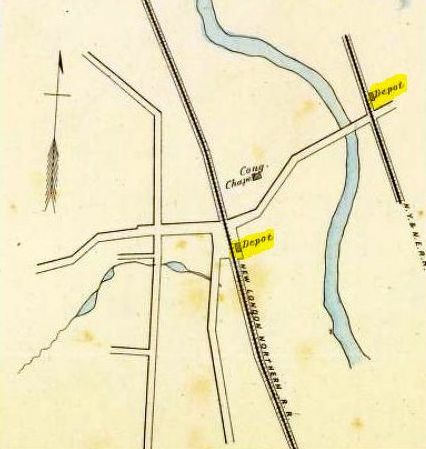 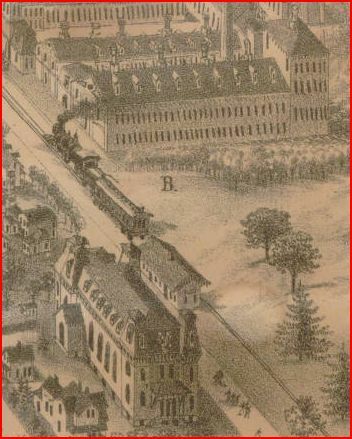 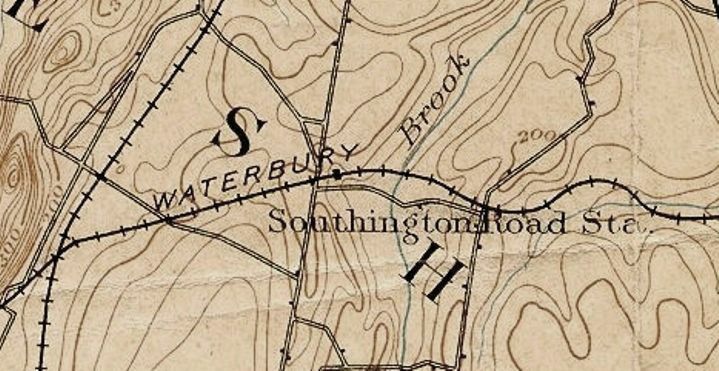 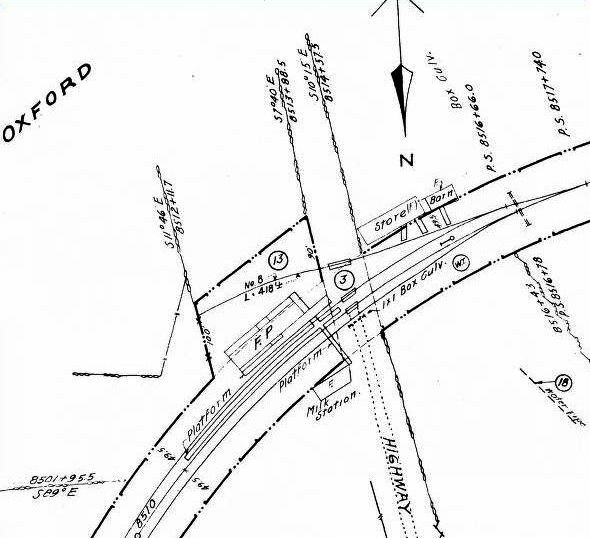 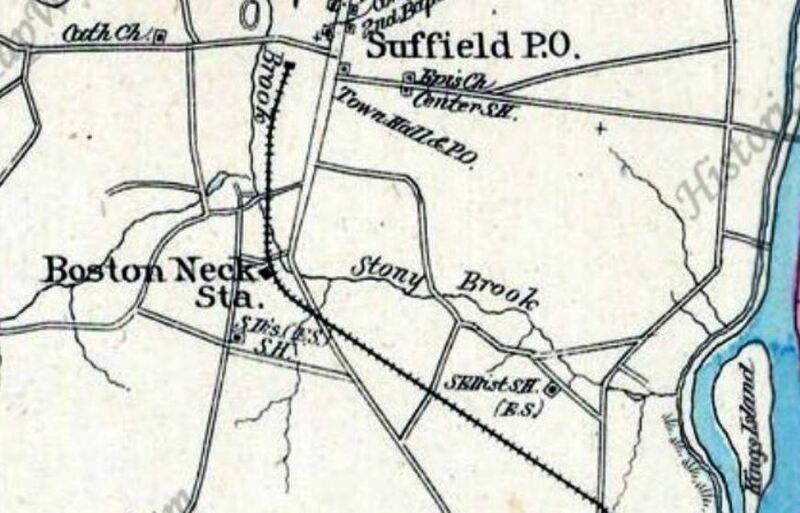 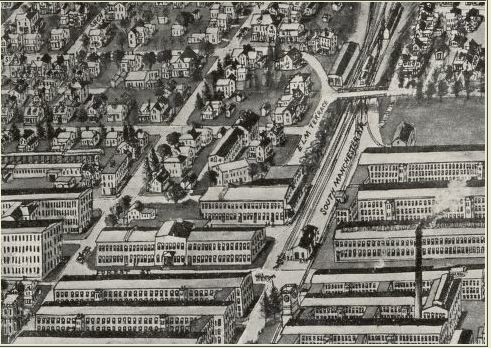 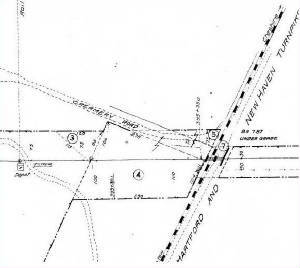 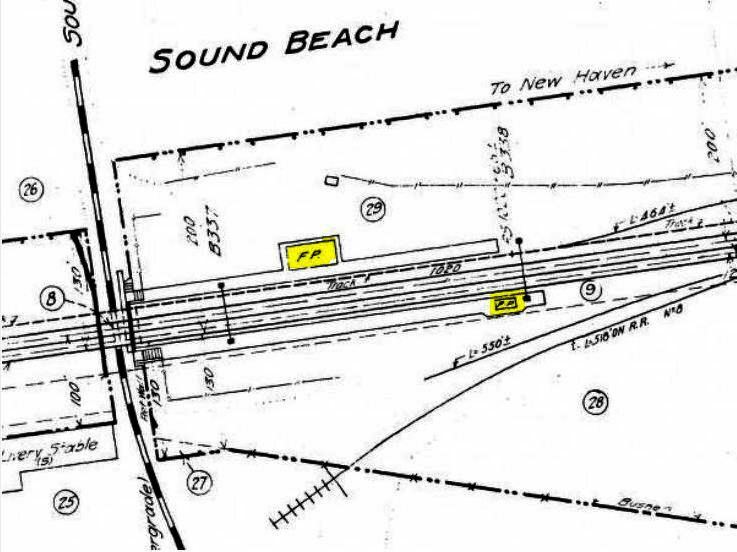 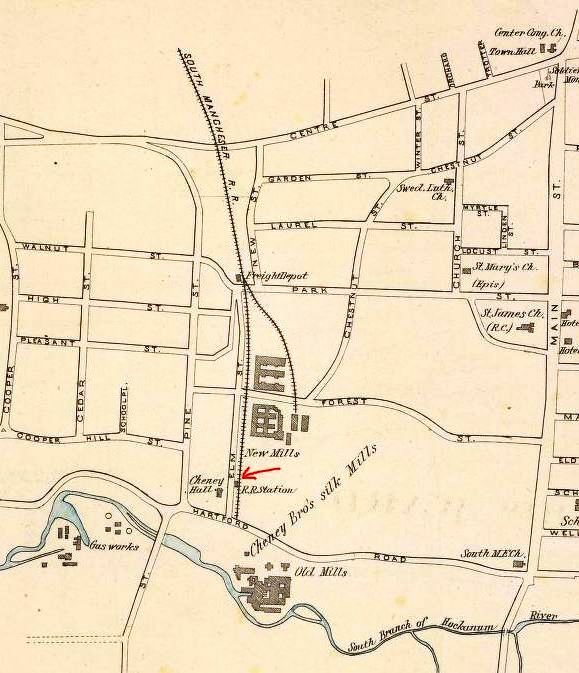 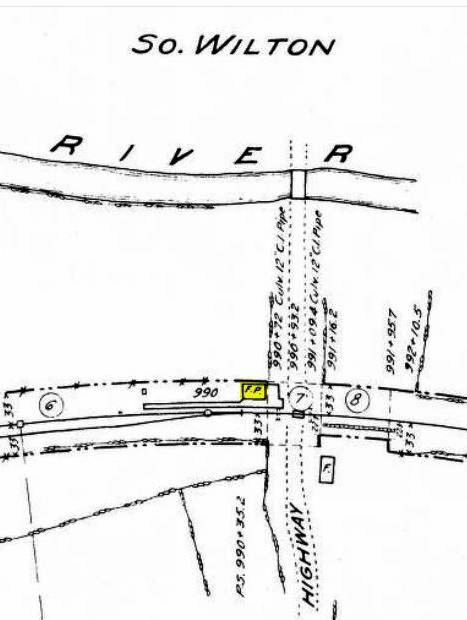 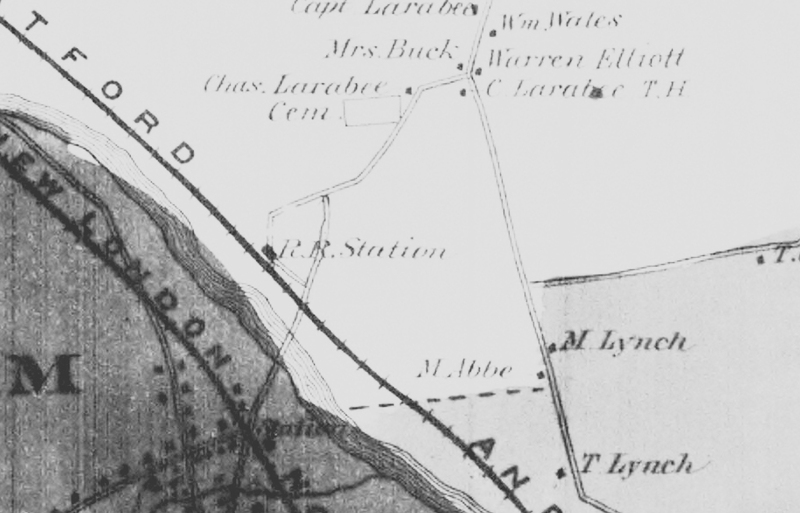 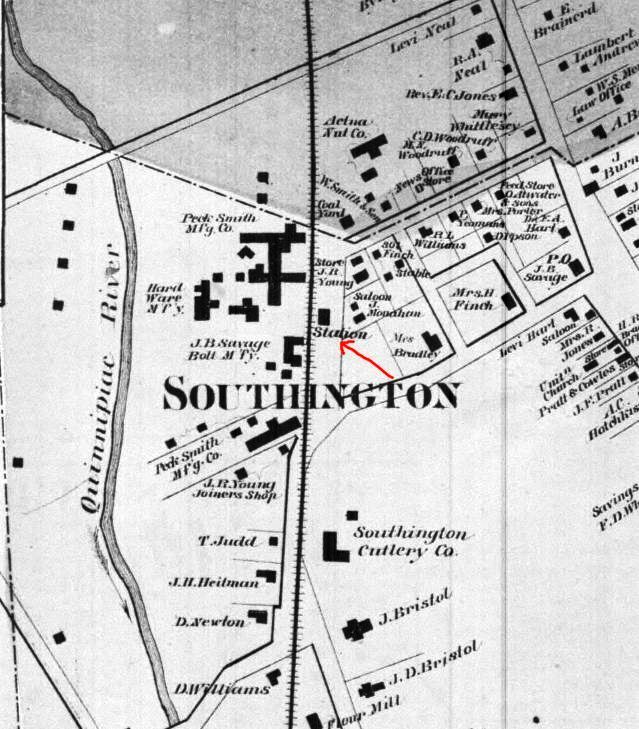 The image at right is from the Bailey 1878 bird's-eye map and shows the approximate location of the first depot at the red X and the site of the successor station at the red arrow. 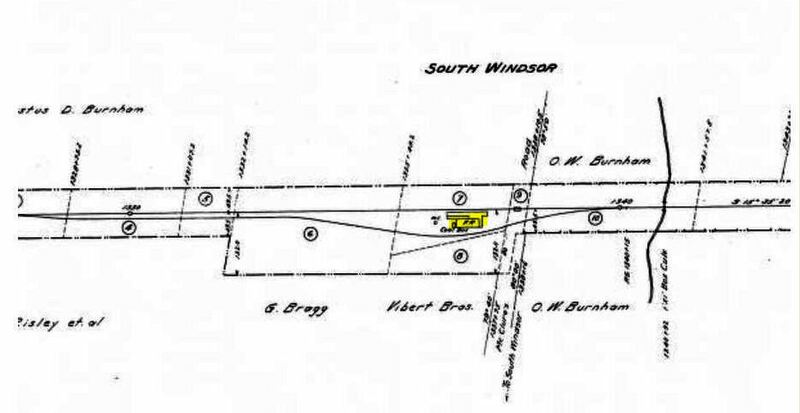 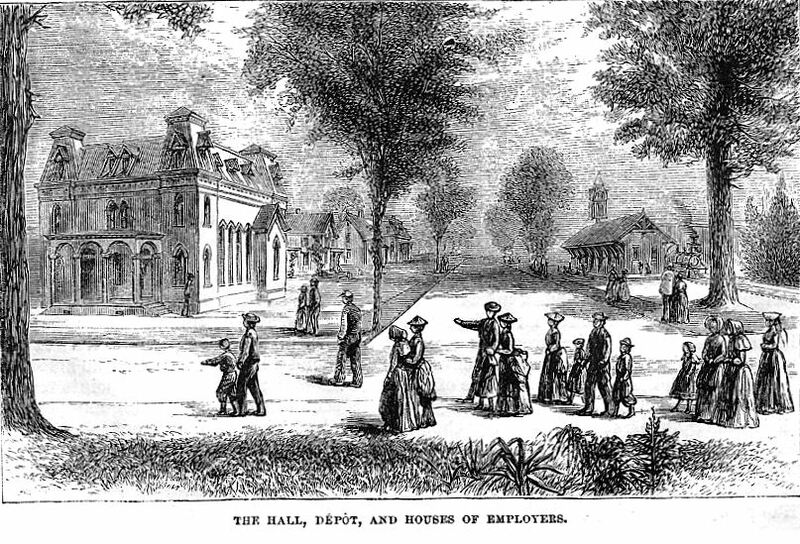 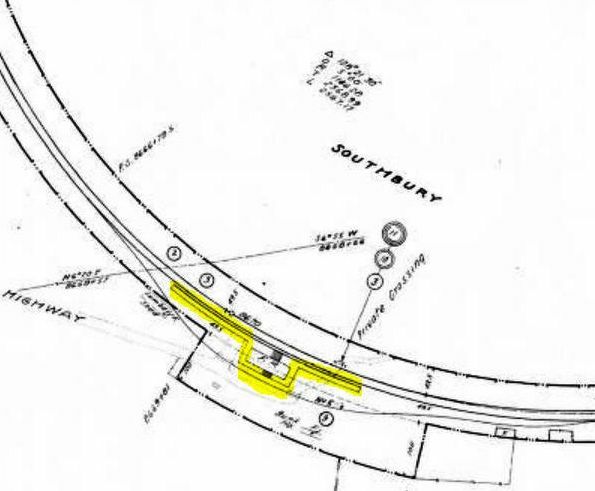 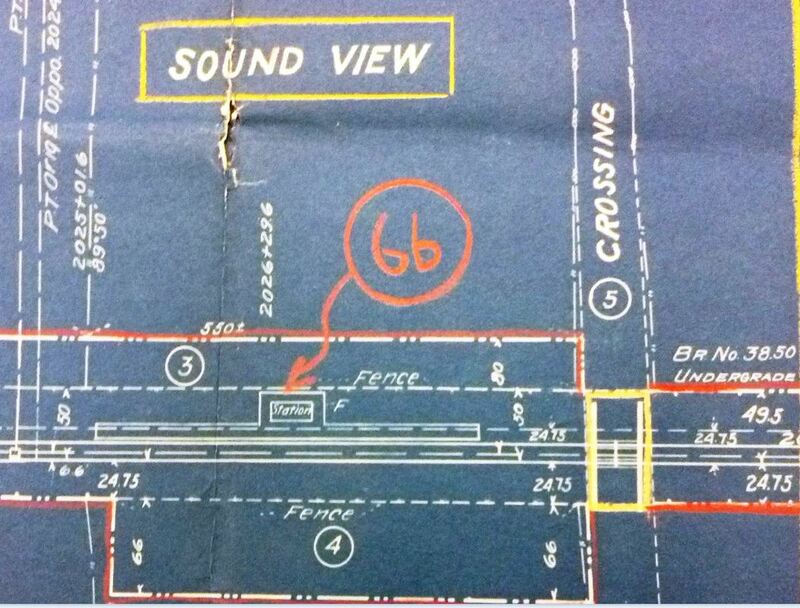 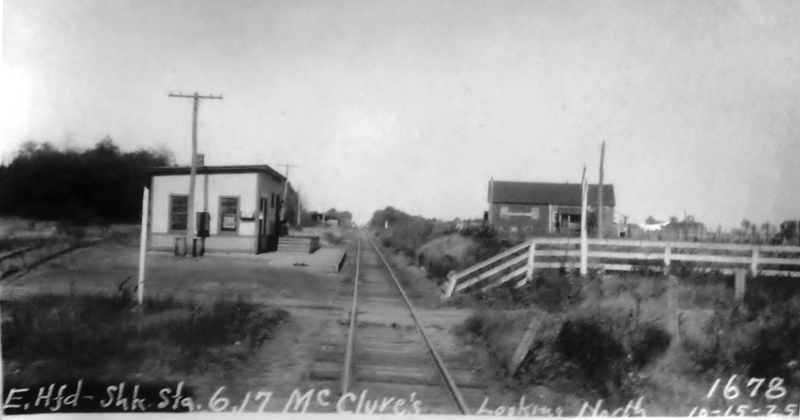 Inasmuch as Bailey was sketching the town only a few years after the first station was abandoned, it is very likely that it is one of the buildings adjacent to the red X, in the block between High and Centre Sts.